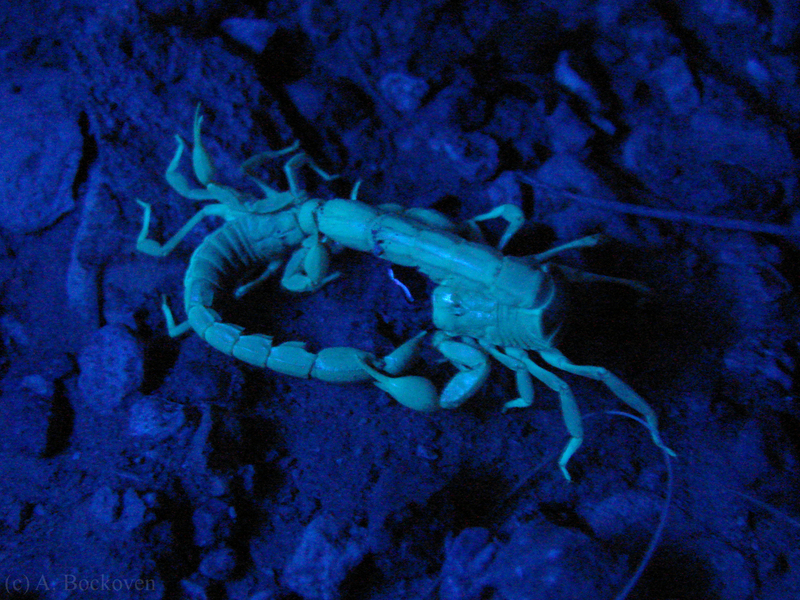 Scorpions at night in the desert, viewed with a blacklight. One of the coolest night collecting tricks is to take a black light out to look for scorpions. In the desert (and even in the woods where I live) these cryptic stinging critters emerge at night to hunt, and although they are well camouflaged a simple black light reveals them in glowing color. There’s a lot of debate about why scorpions fluoresce under ultraviolet light but it may be a further mechanism to help them avoid light (which makes them vulnerable to predators and dehydration). 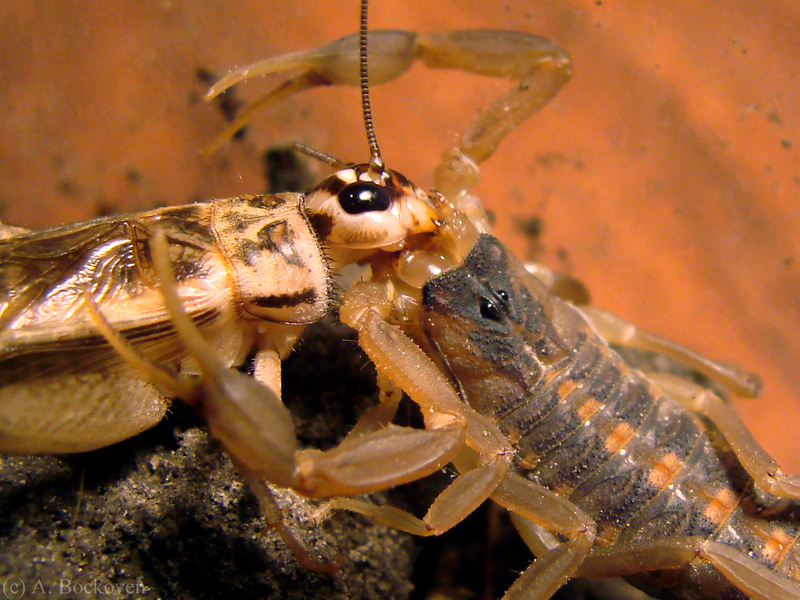 Scorpions that are not hungry reduce activity on brightly moonlit nights. 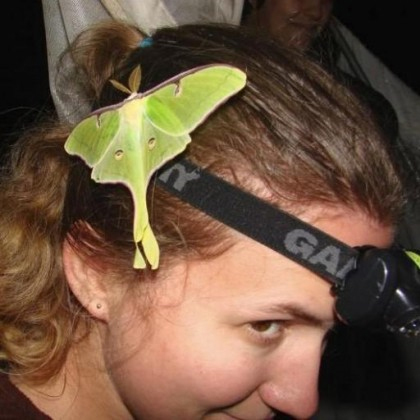 Being able to detect and head towards dark areas can also help an organism with relatively poor eyesight to quickly identify refuges such as rocks and bushes (Camp & Gaffin 1999). Gaffin et al. found that, when blindfolded, scorpions could use their entire exoskeleton as a sensor to detect UV light (2011). I am now enjoying picturing scorpions in tiny blindfolds. 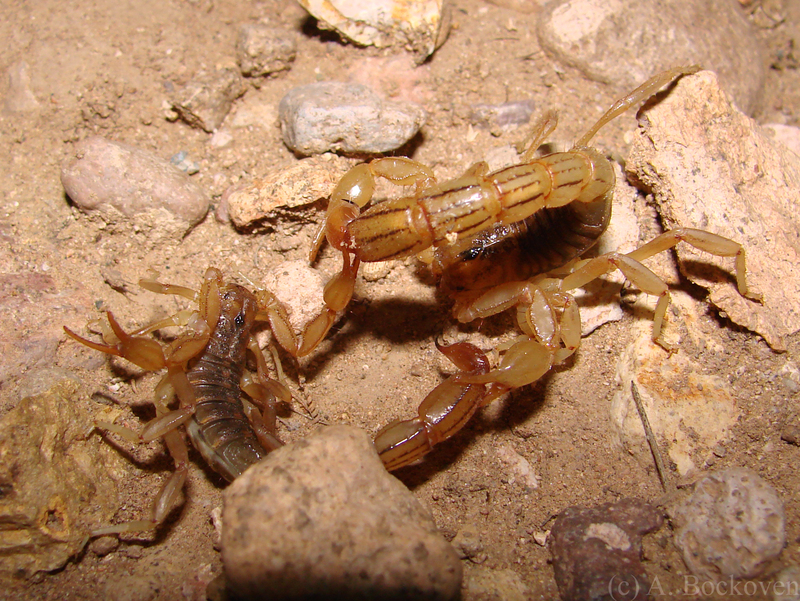 Two scorpions fighting (or courting?) in the desert at night. 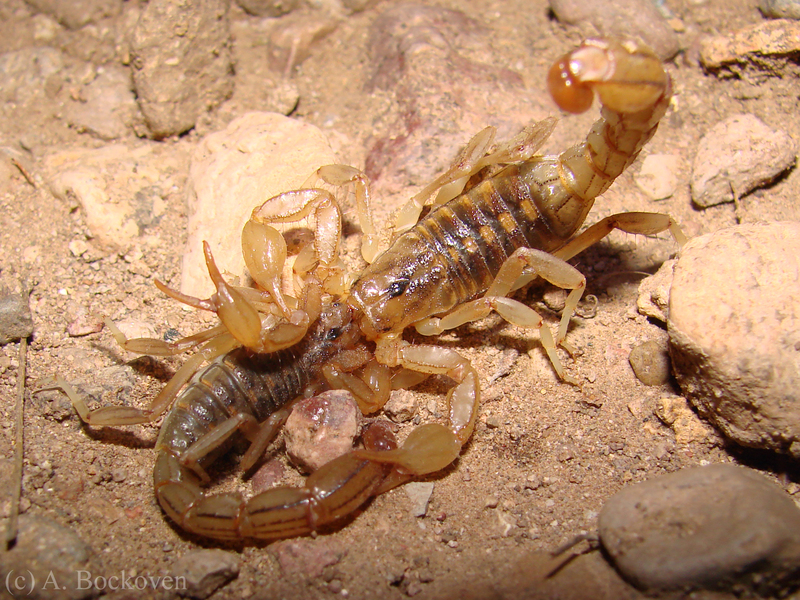 I encountered this particular pair of scorpions in the desert in Arizona. At first I thought they might be engaged in courtship behavior, but later I thought they might just be fighting (possibly both?). Yes, I know the pictures look a bit violent with the wrestling and the stinging, but scorpion courtship is, well, probably only fun for scorpions. I can’t find the excellent clip from Life in the Undergrowth, but there are some lovely videos of scorpion mating dances on Youtube. For many species, stinging is involved. Also elaborate dancing, and chewing on each other’s faces (“kissing”). The courtship is completed when the male manuevers the female backwards onto a spiky spermatophore he has placed on a flat surface. Two scorpions: fighting or making out?